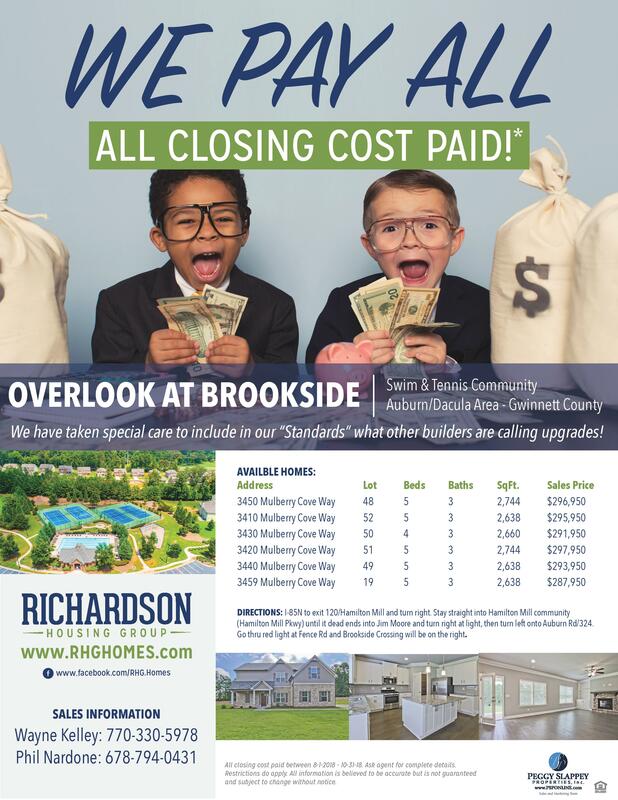 All Closing Costs Paid on Your New Home at Overlook at Brookside! 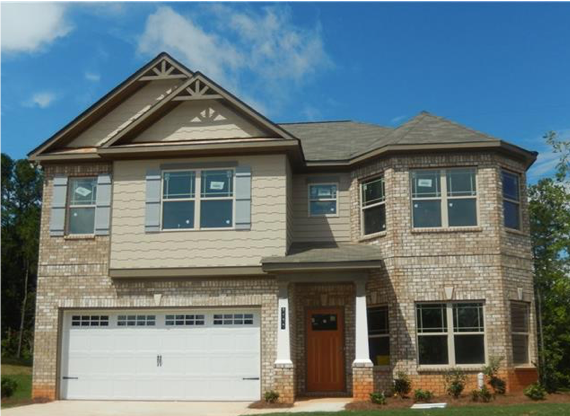 Overlook at Brookside is a beautiful community of new homes in the sought-after Auburn/Dacula area. 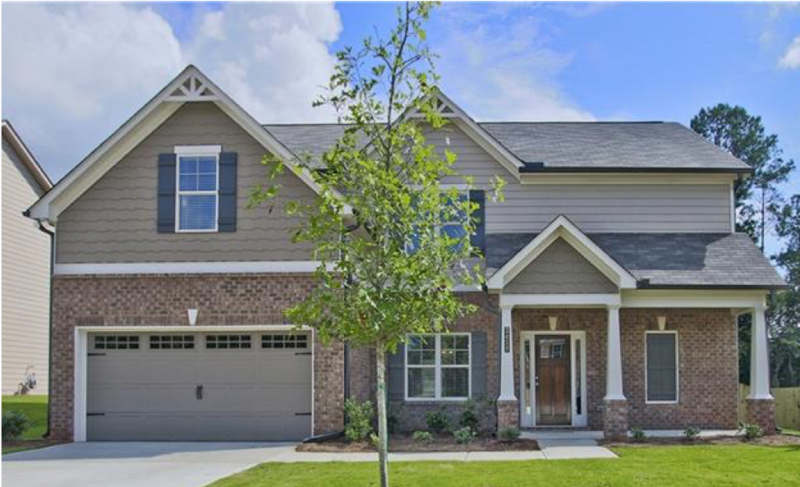 This swim/tennis community offers five distinctive home designs with up to 3,000 square feet and 5 to 6 bedrooms. 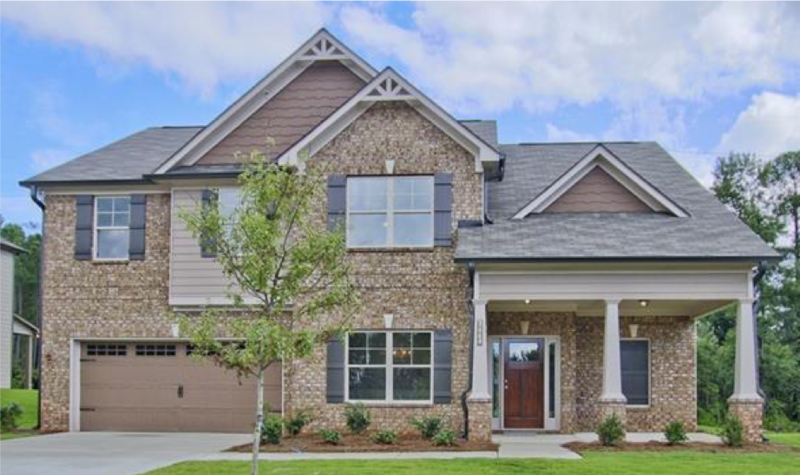 The community is just minutes from fantastic shopping and dining at Hamilton Mill and the Mall of Georgia, and a short distance from Little Mulberry Park, featuring nearly 900 acres of active and passive recreational space! Families will love the excellent Gwinnett County schools, including Mulberry Elementary, Dacula Middle, and Dacula High. Each of these homes includes standard features that other builders consider upgrades, such as an open-concept layout with hardwood floors across the main level, recessed and pendant lighting, covered back porch with gas grill connection, site-finished hardwood staircase, and gourmet kitchen with gorgeous white cabinetry, stainless steel appliances, granite countertops, and a huge island, and so much more! 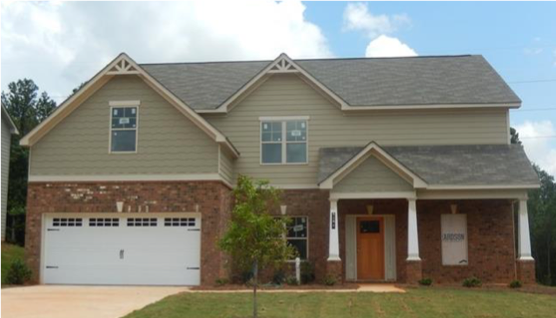 With incentives like these, these homes are selling fast, so make plans to visit today! 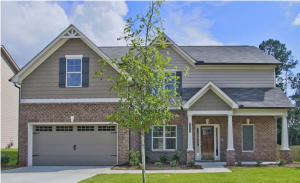 For more information and to schedule your personal tour, contact Realtor® Wayne Kelley at 770-330-5978 or wkelley@psponline.com, or Realtor® Phil Nadone at 678-794-0431 or pnardone@psponline.com. Directions to Community: Take I-85 Northbound to Exit 120 (Hamilton Mill Rd.) Turn right. Then make an immediate right onto Braselton Highway. In 1.8 miles, turn left onto Auburn Road. In 3.8 miles, the community will be on the right. 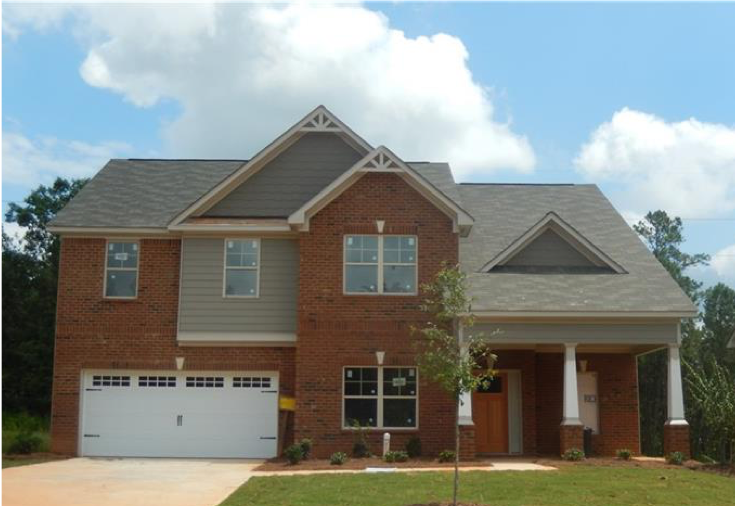 Take the first left into Overlook at Brookside Crossing. *All closing costs paid between 8-1-2018 – 10-31-18. Ask agent for complete details. Restrictions do apply. All information is believed to be accurate but is not guaranteed and subject to change without notice.